I recently started reading Andy Weir’s The Martian which is supposed to be the hardest of hard science fiction, written by the son of a particle physicist and scientifically accurate in every possible respect. We’ve heard that story before, so I was not surprised to find the first error (claiming that desiccated stool would be completely free of bacteria) about 13 pages in. Then I got to page 24 and it got bad. Really, really bad. Bad enough that I wouldn’t be surprised if Weir’s physicist father disowns him. There isn’t a lot of water here on Mars. […] I’ll have to make it from scratch. […] Take hydrogen. Add oxygen. Burn. I have a fair bit of O2 reserves, but […] only enough to make 100 liters of water (50 liters of O2 makes 100 liters of molecules that only have one O each). […] That’s where the MAV fuel plant comes in. […] Once I get the fuel plant hooked up to the Hab’s power, it’ll give me half a liter of liquid CO2 per hour, indefinitely. After ten sols it’ll have made 125 liters of CO2, which will make 125 liters of O2 after I feed it to the oxygenator. Each molecule of hydrazine has four hydrogen atoms in it. So each liter of hydrazine has enough hydrogen for two liters of water. The first red flag is that Watney uses units of volume instead of mass, which is inappropriate when calculating quantities for a chemical reaction. Watney is a mechanical engineer and would have been thoroughly trained in the correct use of units, even if chemistry is not really his field. I also doubt he would use the chemical formulas for carbon dioxide, water etc. in daily conversation or in a diary destined for laypeople, but I understand why Watney (or rather Weir) did it: he wants the reader to be able to count H’s and O’s and follow Watney’s calculations. Unfortunately, his calculations are unsound, because you have to add up mass, not counts. It is not initially clear whether Watney is talking about gases, liquids or solids. Since he will be working in the habitat, close to standard conditions of temperature and pressure, it is not unreasonable to assume that the CO2, O2 and H2 are in gas form and the H2O is liquid. But it seems Watney himself is confused: when he says that the fuel plant will make “125 liters of CO2, which will make 125 liters of O2” in ten sols, he is right… if he is talking about gases, but not if he is talking about liquids (“it’ll give me half a liter of liquid CO2 per hour”). In reality, 1 l of liquid CO2 at a density of 770 kg·m-3 contains (770 / 44) * 32 = 560 g of oxygen, barely enough for 0.5 l of liquid O2 at a density of 1141 kg·m-3. Since 1 l of water requires (1000 / 18) * 16 = 889 g of oxygen, 1 l of liquid CO2 will only provide enough oxygen for 0.63 l of water. Meanwhile, 1 l of liquid N2H4 at 1021 kg·m-3 contains (1021 / 32) * 4 = 128 g of hydrogen, which is enough for slightly more than 1 l of water ((1000 / 18) * 2 = 111 g), not the 2 l Watney claims. It would be different if he was operating exclusively with gases. Assuming the ideal gas law is sufficiently accurate (which depends on temperature, pressure and molecule size), and assuming conditions of temperature and pressure under which carbon dioxide, hydrazine and water are all in gas form, one liter of carbon dioxide and one liter of hydrazine vapor contain enough hydrogen and oxygen for two liters of water vapor (which is not the same as steam) plus one liter of nitrogen and a few grams of solid carbon. Finally, Watney mentions that some of the reactions he relies on are extremely exothermic, but not that releasing liquid carbon dioxide into the habitat’s atmosphere will dramatically lower the temperature. The exterior temperature is never mentioned, so I cannot comment on the effect of bringing in soil and hydrazine, nor on the state of the hydrazine, which has a melting point of 2 °C and is therefore very likely to be frozen solid. I’ll keep reading, for the same reason I sometimes watch CSI (but not CSI Miami): the story and characters are sufficiently engaging that I can overlook the bad science, as long as they’re not waving it in my face. The Martian is flying dangerously close to Gap territory, but at least the text flows well and the characters are likable. For now. 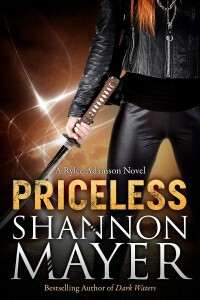 Q: How bad can a book get and still get 4.5 stars and hundreds of rave reviews on Amazon? A: Pretty bad, if it’s a shortish genre novel with a $2.99 digital list price. I’m not a litblogger, but I do read a lot, and once in a while I come across a book which I feel so strongly about that I absolutely must share my enthusiasm or revulsion, just to get it off my chest. 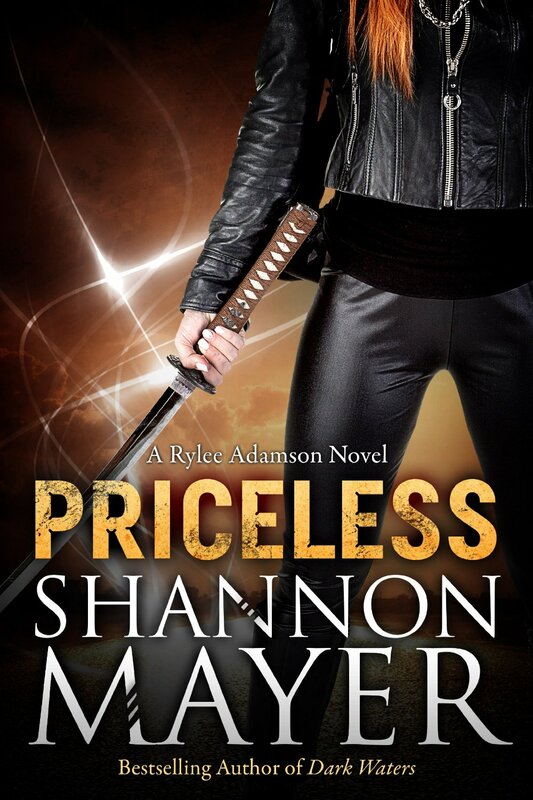 Shannon Mayer’s Priceless, the first in a series of novels about supernatural detective Rylee Adamson, falls squarely in the “revulsion” category. I just discovered that Amazon allows anyone to “follow” a Kindle user, and there is no way to turn that feature off or to block followers. They say your followers can only see notes that you explicitly make public, but they don’t say anything about whether they can see your book list, which is the union of books you’ve bought, books you’ve reviewed and books on your wish lists—and not just eBooks, but paper books as well. Wish lists can be made private, but the FAQ doesn’t say whether that means they don’t appear in my book list on kindle.amazon.com. More-or-less aimless surfing brought me to an old blog post about math in movies, which mentions Pi and Contact. This mostly coincidental juxtaposition reminded me of the conclusion of the novel behind the latter.